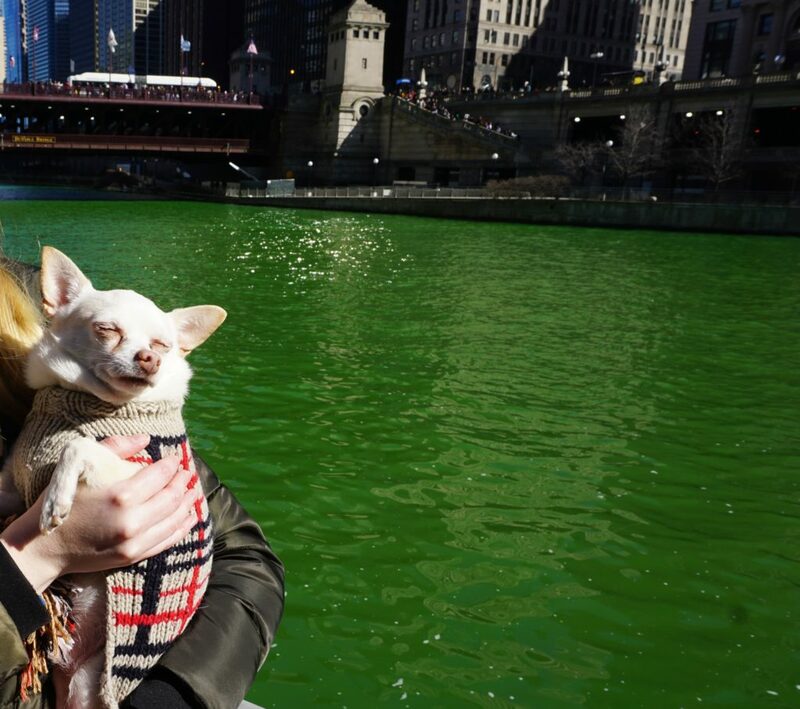 With over 2 million spectators each year, Chicago hosts the biggest St. Patrick’s Day celebration in the U.S. 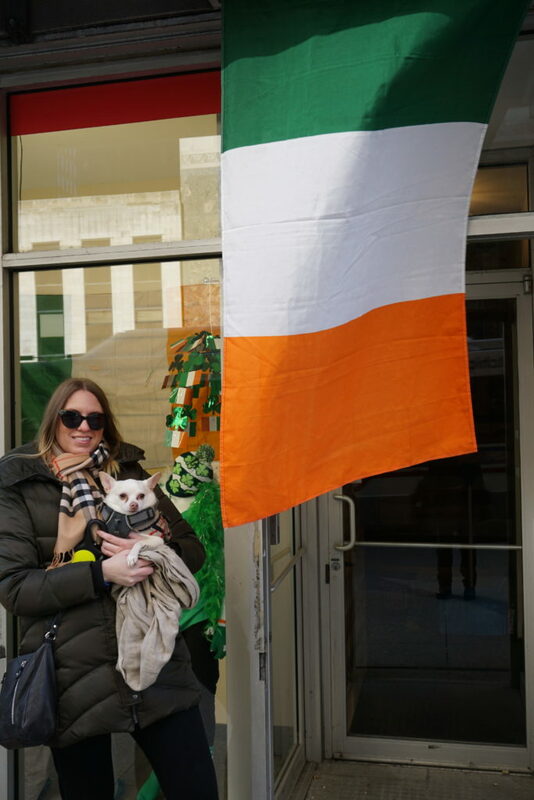 The celebration begins the day before St. Patrick’s day on the 16th beginning at 9 am with the famous green river dyeing and then a parade at 12:00 pm, among other festivities. 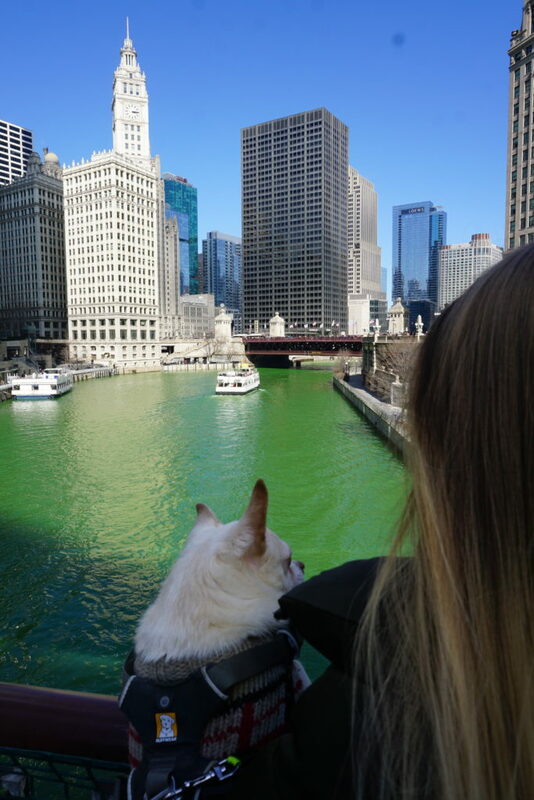 The windy city wouldn’t be a St. Patrick’s Day celebration without the bright emerald green river. 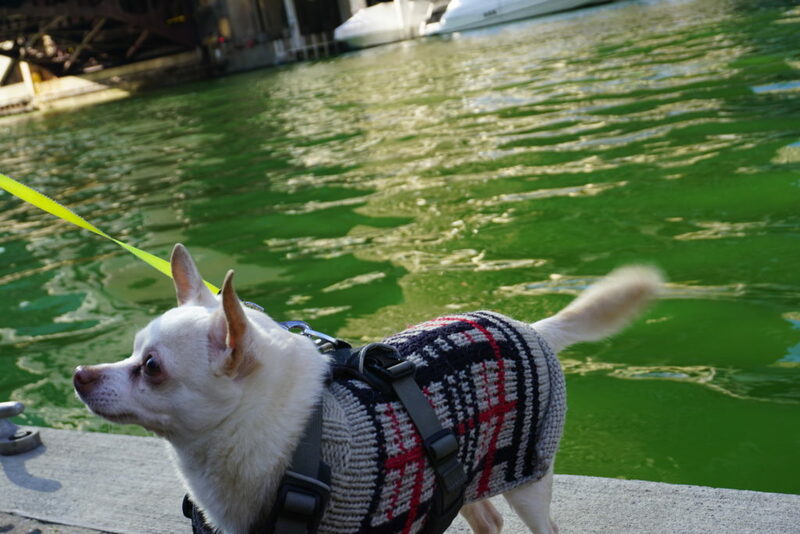 The dyeing takes place on the Chicago River between Columbus and Wabash Ave. After hearing over 400,000 people showed up to the event the year before, we were unsure whether to bring Coco. 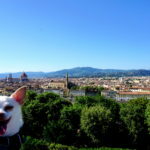 We decided to not bring him on the 16th, even though I would have carried him, because we didn’t want him to get hurt with the crowds of people bumping into me. 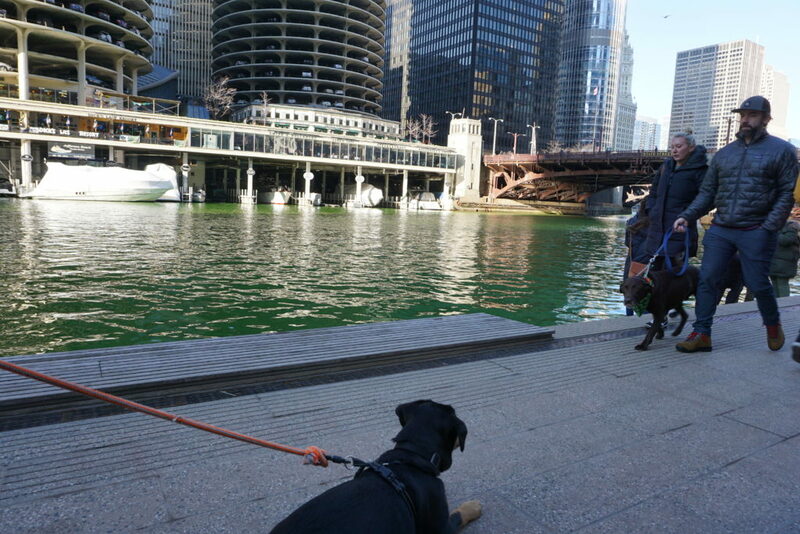 A few people we met during the event, told us the river would stay green for a few days so we decided we would bring him out the next day. We arrived about 20 minutes before the dyeing and it took us a while to find a spot where we could actually see the river. 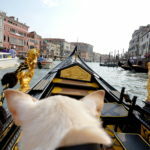 Luckily a few people moved as we approached them giving us an incredible view of one of the boats dyeing the river. It was so crowded many people couldn’t even see the river. I noticed every one with a dog had to stand back to prevent people trampling on them, so they couldn’t see anything. Once the boats finished the dyeing after about 20 minutes, many people left so those who couldn’t see anything then got a great view of the river. 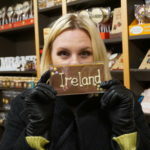 Most people celebrated Saint Patrick’s Day on the 16th, a Saturday, so the 17th of March was MUCH less crowded. 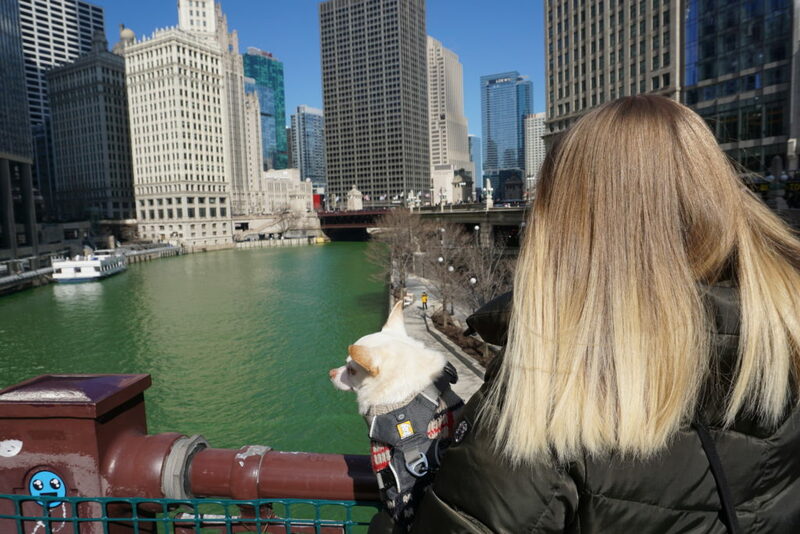 The weather was actually sunny and nice, we were worried about the “bomb cyclone” in the mid west, so it was a great day to explore with Coco. 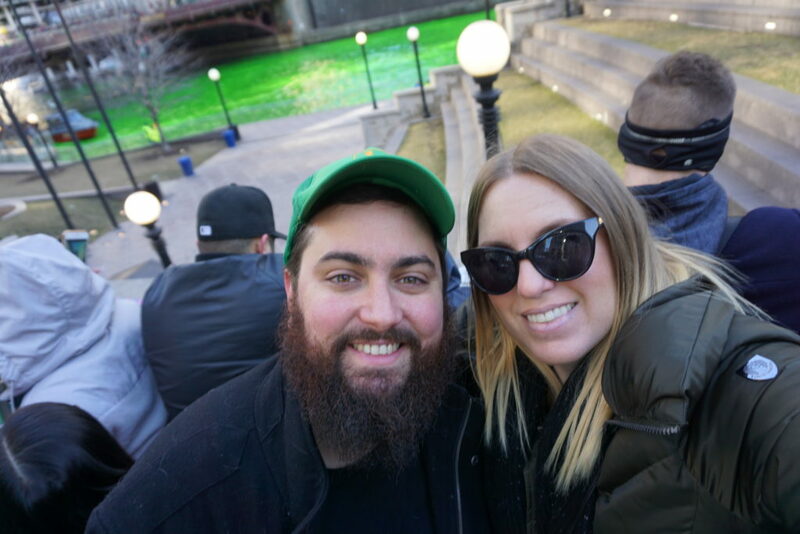 The river definitely wasn’t as bright green as the day before but was still fun to hang out and enjoy it. 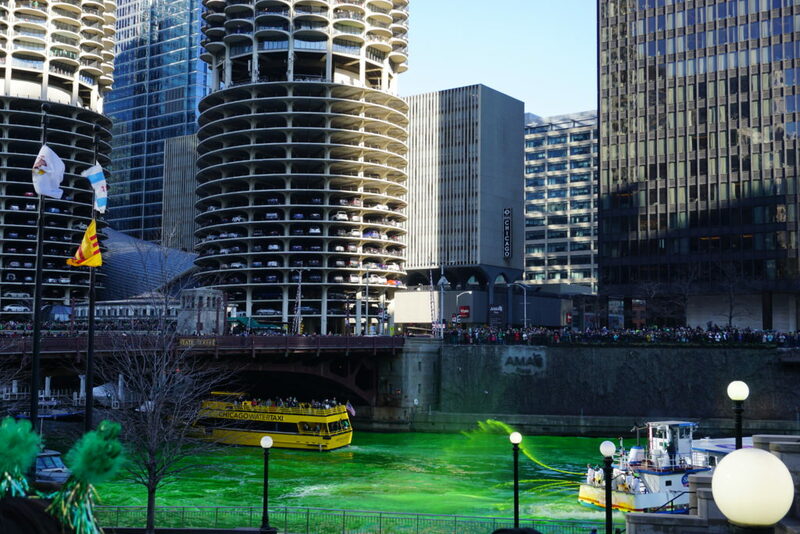 Unlike anywhere else in the world, Chicago is the only place where you will find people celebrating alongside an emerald green river. This unique tradition began in 1961 when the mayor realized nobody wanted to live next to a gross waterway, so he tried to find a way to clean it up. 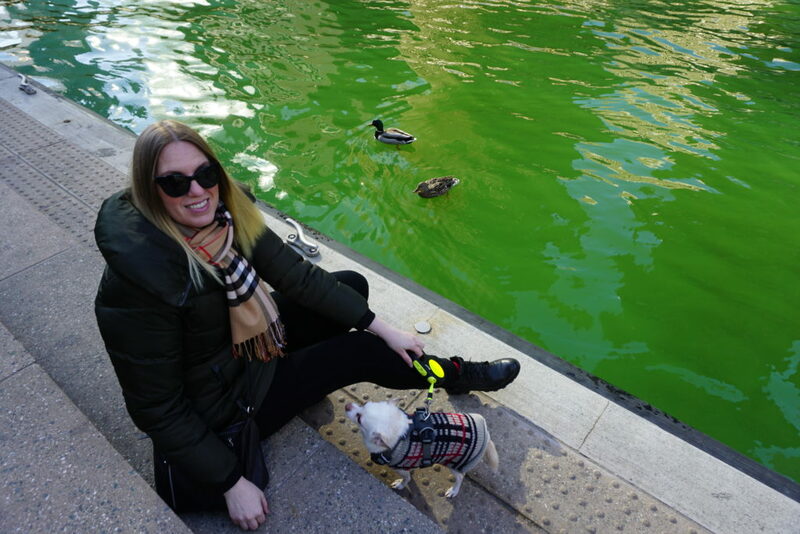 They originally used a an oil based fluorescein that turned the water green for a week, but later switched the formula when it was found to be even more damaging to the water. 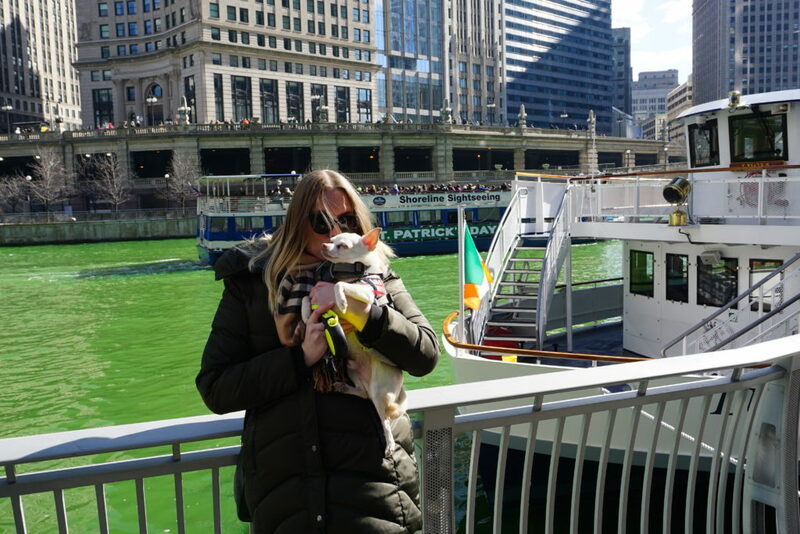 The green river gave Stephen Bailey, a Business Manger of the Chicago Journeymen Plumbers Local Union, a great idea to dye the river green during St. Patrick’s day. He used a safe vegetable dye in 1962 to begin the tradition, and kept the recipe a secret so no one could replicate it. The dye is said to actually be an orange powder that turns bright green when mixed with water. 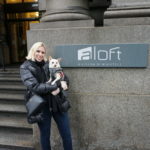 We decided to stop off at City Winery right on the river since we knew they were dog friendly. 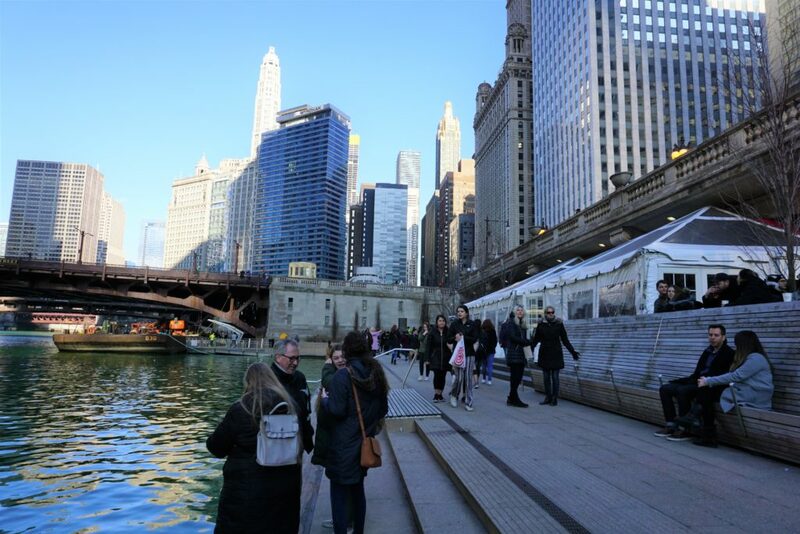 It is a fabulous place to enjoy some great drinks and food with an incredible view. 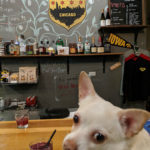 The winery is located at 11 W. Riverwalk South, Chicago, IL 60601. 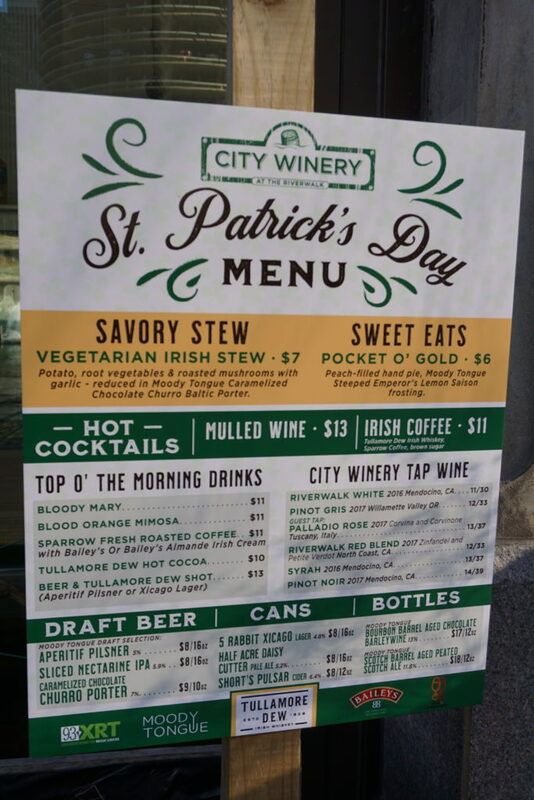 The prices were actually pretty reasonable for it’s location in Chicago. 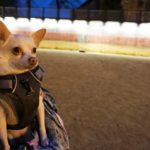 They have a an amazing outdoor area where we could bring Coco, even in the winter. 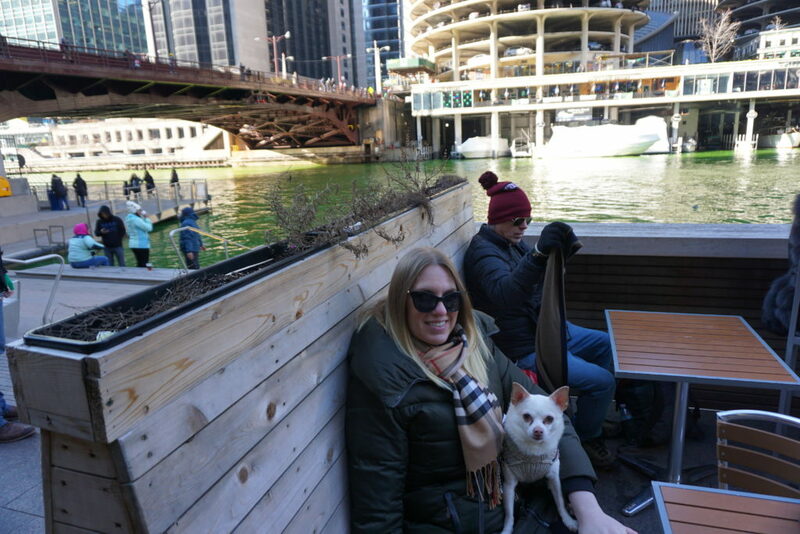 There aren’t many restaurants or bars that have outside seating when it gets cold in Chicago so we happily hung out at City Winery all day. With more than a dozen other dogs, the winery was a hot spot for dog owners. Coco was to happy to pose for pictures as long as we kept the carrots coming.